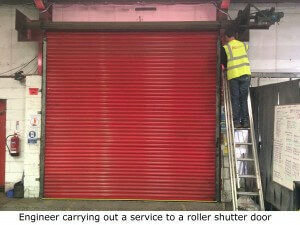 A&C Maintenance have been providing a maintenance service to our customers for well over 45 years & with our wealth of experience serviced every type of industrial door. From our head office in Dinnington, Sheffield, we run a fleet of modern fully equipped vehicles which have easy access to the motorway networks enabling us to offer a fast and reliable service. Our surveyor will visit site & carry out a free survey of the doors & leave a copy of the numbered report for referring with the quotation. A quotation is issued to the client with the relevant survey reference number & with a plan of the site. Each door location is identified and numbered on the plan. 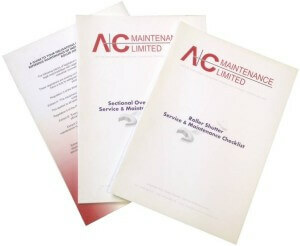 Once an order has been received the first service will be booked with the client. Engineers will position service pockets aside each door with a door log. Each pocket is numbered in accordance with the site plan. 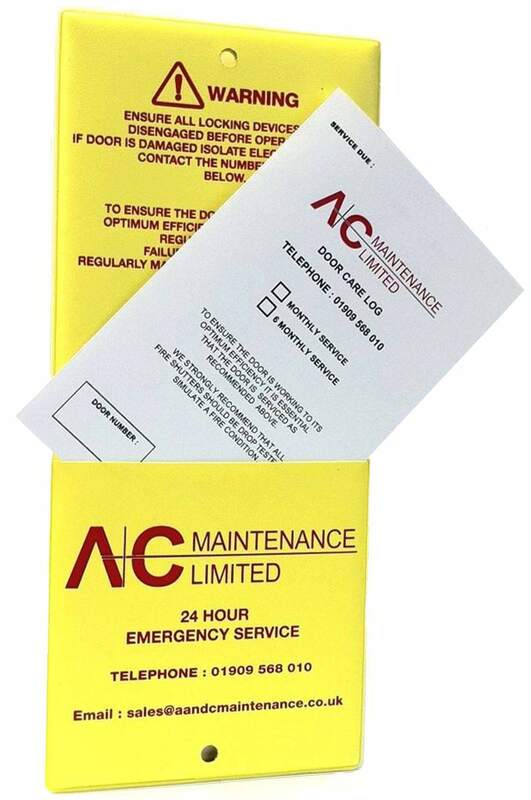 A&C Engineers will carry out a service to each door in strict accordance with our service check lists for each door type. The doors will beck checked for damage & faults, and they will check that the doors comply with the latest health & safety legislation. Seals of the doors are checked with thermal imaging for any heat loss from the building. On completion of the service checks a report is presented to the client along with details of any faults & recommendations. 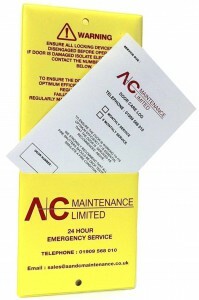 A quotation will follow for any repairs referring to the door & report numbers. All information, reports, quotes etc is stored within our database and a history of the sites/doors is created over time. Any queries from our clients can easily be answered. PLEASE NOTE Under the Workplace ( Health, Safety & Welfare ) Regulations 1992, the Provision & use of Work Equipment Regulations 1998, and the Fire Precautions 1991. Employers are bound to safeguard the Health and Safety of their employees & visitors to their premises, this means that manual & power operated should be maintained by competent engineers on a regular basis to provide a safe environment. All roller shutters & industrial doors should have regular planned maintenance in accordance with Regulation 5 of the Workplace ( Health & Safety Welfare ) Regulations 1992.